The Cary Edwards Leadership Award recognizes individuals who have an outstanding commitment to improving the quality of life and promoting smart growth in New Jersey through sustainable land-use policy and practice. This year’s recipient, Anne Babineau Esq., is a shareholder at Wilentz, Goldman & Spitzer, where she provides leadership on projects being undertaken by attorneys in the firm’s statewide multi-disciplinary redevelopment practice. For more than 30 years, Anne has worked with clients making New Jersey a better place by meeting the challenges of redevelopment in urban areas and revitalizing the developed portions of our state. The successes have come by making projects feasible with public private partnerships that required well-supported redevelopment-area designations, creative financing using tax abatement and public financing and incentive programs, and well-planned and executed property acquisition. Purchase tickets to the June 4th awards ceremony or sponsor to show your support for Anne! Born and raised for most of her childhood in a diverse, walkable, transit-rich Jersey City neighborhood, Anne returned to the city after law school to work on the Newport redevelopment project when it was still a rail yard. Since that time, she has worked on numerous redevelopment projects in that city and in other urban and not-so-urban municipalities. Anne has helped some of the largest industrial developers turn brownfields into warehouse/logistics centers in Carteret, Elizabeth, Newark, Perth Amboy, and Woodbridge, and has worked with well-known residential development companies to turn dilapidated and vacant sites into mixed-use projects in places like Asbury Park, Atlantic City, Montclair, Roselle, South Orange, and Weehawken. In the process, she has helped her clients create some of New Jersey’s most iconic urban redevelopment projects: the New Jersey Performing Arts Center, Roebling Wireworks in Trenton, W Hotel in Hoboken, and the Hyatt Hotel in New Brunswick. In Hoboken, she worked for more than 20 years to establish and sustain the public-private partnership between the city, the Port Authority and two private developers which resulted in the successful redevelopment on Hoboken’s southern waterfront. Besides working on the Hyatt Hotel in New Brunswick, she contributed to that city’s resurgence through her work on a variety of other projects, following the lead of her partner John Hoffman, whose commitment to redevelopment in that city inspired Anne to concentrate her practice on redevelopment. Throughout her career, Anne has used her legal acumen to elevate the practice of redevelopment in the state. For more than 15 years she has trained redevelopment agency commissioners and executive directors in a class offered by Rutgers on the tools in the Local Redevelopment and Housing Law – a statute which she worked with the state Office of Legislative Services to consolidate and streamline in 1992. 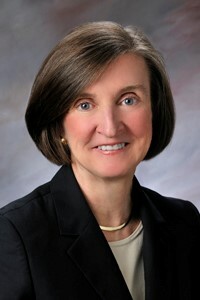 She has contributed expertise to help industry organizations such as the New Jersey Builders’ Association and NAIOP develop proposed amendments to that law to spur more voluntary private property acquisition through the creation of “non-condemnation redevelopment areas.” During her tenure as a New Jersey Future trustee, she successfully represented New Jersey Future in its amicus curiae filing in support of smart, mixed-use compact redevelopment on a surface parking lot in Princeton. Through her writing and speaking, she has provided clear analyses of complex programs, enabling others to see how best to utilize the gap-closing mechanisms available through programs like the 2013 Economic Opportunity Act. For such activities as well as her work on redevelopment projects throughout New Jersey, ULI honored her with its Land Use Legacy Award in 2013.